The James F. Hall Trail is a popular 1.7-mile cross-town pedestrian and bicycle trail in downtown Newark, Delaware. Location: Newark, Delaware, In Newark south of the University alongside railroad tracks, Library Street west to Phillips Park. In Newark S of the University alongside RR tracks, Library St. W to Phillips Park. The 8' wide hard surface pathway is equipped with Emergency Call Boxes linked directly to the Newark Police Department Dispatch Cente. The trail passes through three City parks which feature several active recreation facilities, a pristine wetland area, footbridge crossings of two streams and passes by the Old Newark Train Station which is home to the Newark Historic Society. It is also directly accessible to residential neighborhoods, University of Delaware student housing units and child care facility, the Delaware Technology Park and a shopping center. 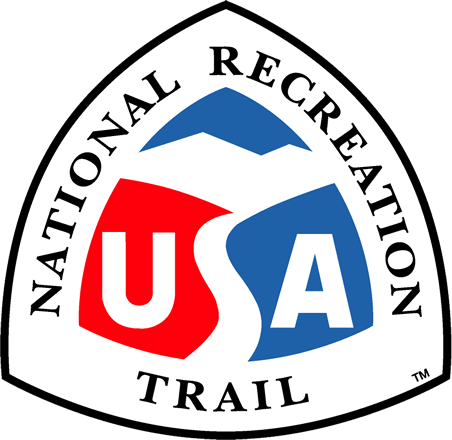 Several local service, non-profit organizations and university student groups utilize all or parts of the trail for run/walk fundraising events. The City of Newark partnered with the University of Delaware, Delaware's Department of Transportation and Department of Natural Recourses and Environmental Control to make the project happen. A second connecting trail is in the final planning stages now. Construction will likely begin in the spring of 2010. This new trail will connect to the Hall Trail and proceed north, through Newark's downtown district, and continue on to empty into the White Clay Creek State Park and its trail system. JFH at Lewis Park Bridge. Photo by Charlie Emerson. JFH at Bradford Lane. Photo by Charlie Emerson. JFH at Chapel Street. Photo by Charlie Emerson.